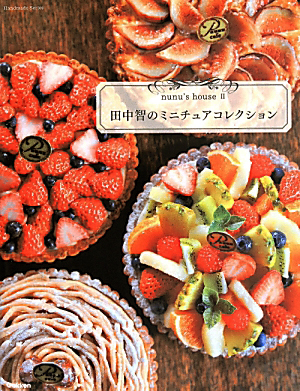 This is the newest dollhouse miniature clay book especially written by top miniaturist in Japan "Nunu". Be blown away by the highly realistic and elegant miniature pastries, food items and dollhouse decorations! This is a book packed with tons with inspiring photos which you will enjoy browsing for a long time. There are also several detailed tutorials which you will learn to make very realistic food items. You will learn top notch air dry clay, molding and painting techniques in this book. Suitable for beginners, intermediate crafters and anyone who is fascinated with dollhouse miniatures.